Influenced from the Capital of Glamour, New York City, the MGNY collection offers modern and stylish designs. Here’s a few of our show-stopping favourites from the 2017 collection by the very talented Madeline Gardner. A classic strapless vintage lace bodice on an extravagant flounced organza skirt with plain waistband. A strapless frosted Chantilly lace A-line dress with exquisite crystal waistband. 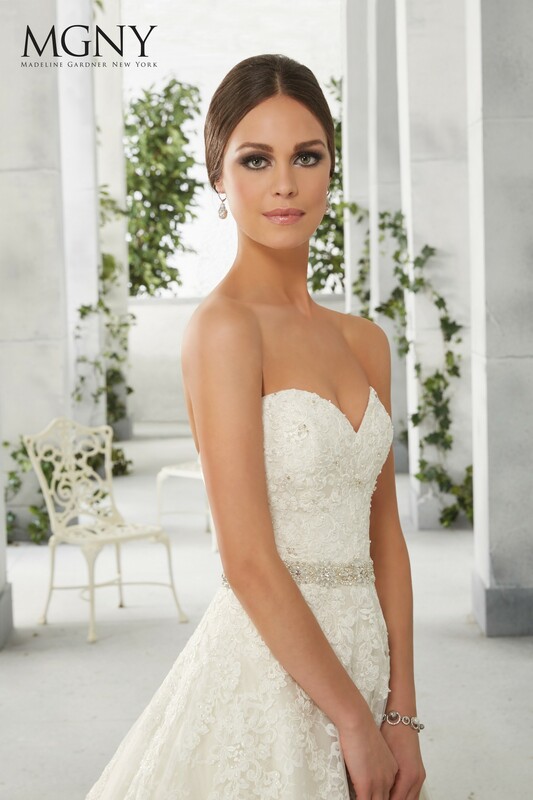 A slim fitting halter neck beaded alencon lace dress with a removable beaded organza belt and scalloped hem. Visit the MGNY website to view the full collection here. 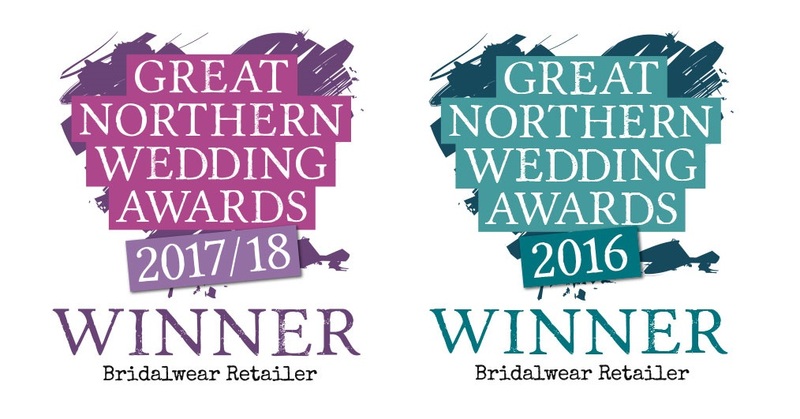 We’d love to know what you think of our latest arrivals, if you want to visit and try them just give us a call on 01200 442929 or send an email to info@ameliasbrides.com.